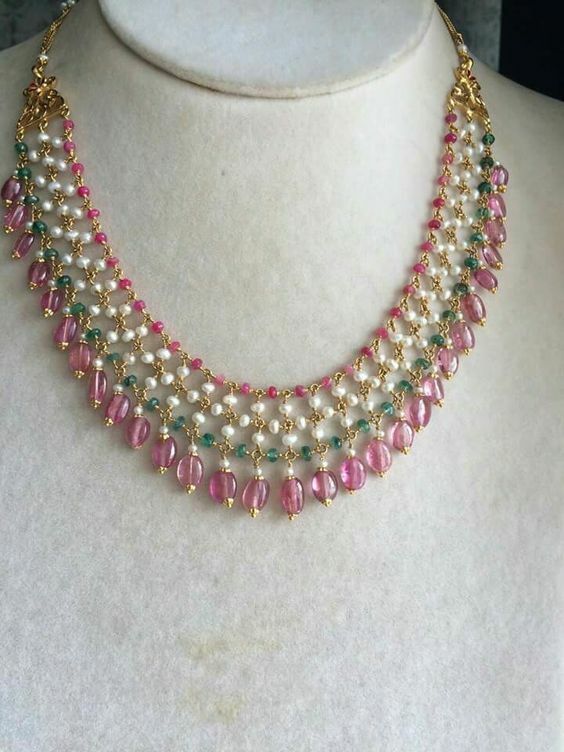 22 carat gold light weight necklace adorned with pearls and beads. 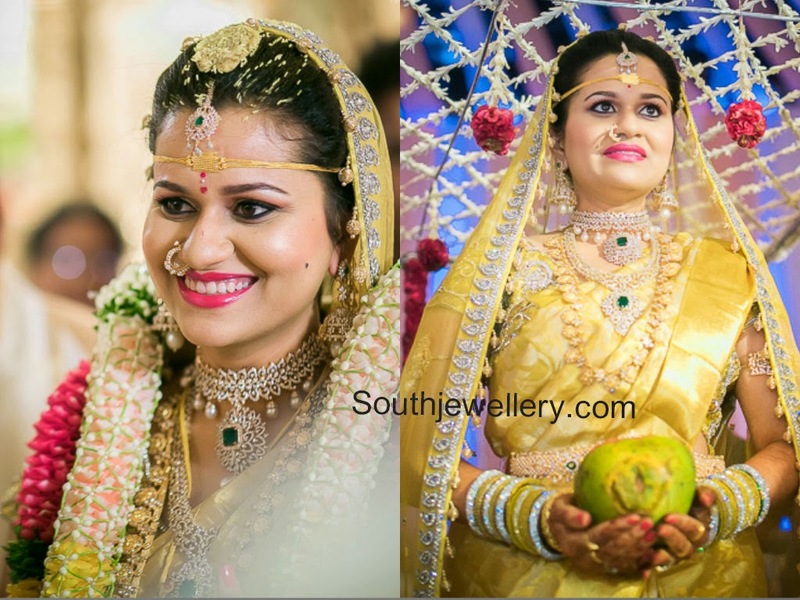 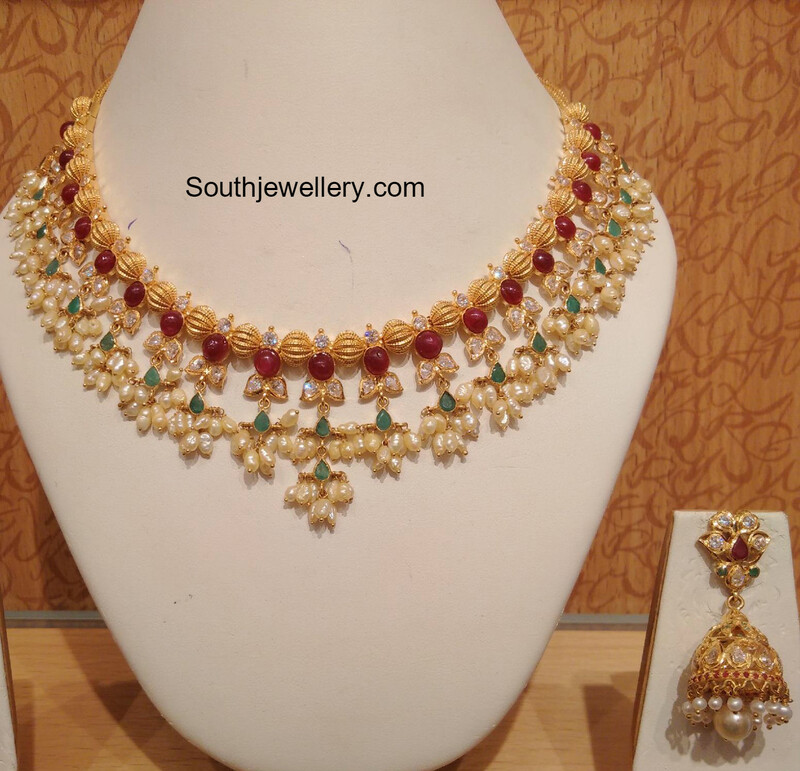 22 carat gold light weight guttapusalu necklace adorned with cz stones, rubies, emeralds and pearls teamed with suitable jhumkas by Naj Jewellery. 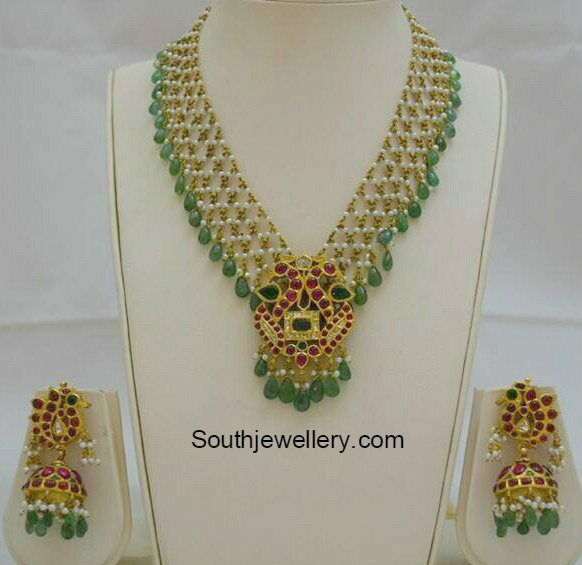 Multistrand pearls mala with Goddess Lakshmi pendant studded with diamonds, emeralds and ruby by Sitara Jewellery. 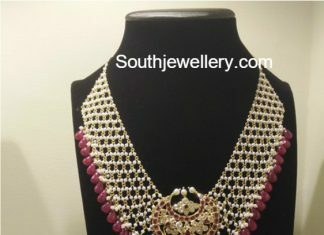 Sneha in an antique gold multi string pearls mala with peacock pendant paired with suitable antique gold Chandbali earrings. 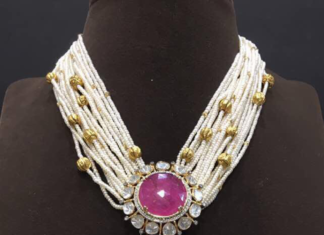 22 carat gold layered pearls necklace adorned with pearls, ruby beads and uncut diamonds paired with matching jhumkas.